Bennie McFerran is one of the newest guys on Trinidad Rig 123, currently drilling in Reeves County, Texas. Admittedly a bit nervous to start with a new company in November of last year, McFerran’s nerves were quickly put aside when he found out the crew he was joining was coming up on eight years without a recordable incident. 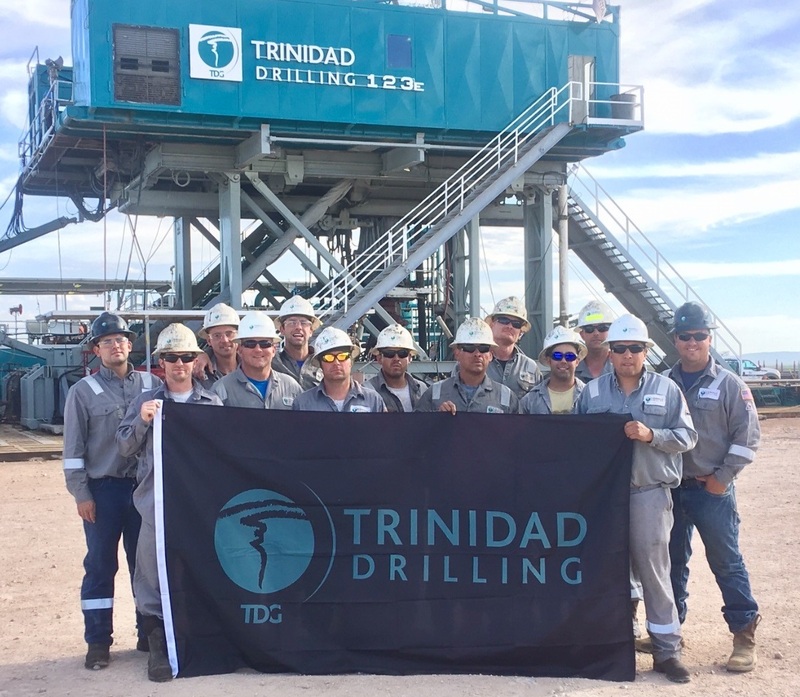 “I’d heard Trinidad was a good company to work for and knew they had nice rigs, but I didn’t know how great the company was until I started. Safety records like this are something special,” said McFerran. We caught up with the rig’s newest Pithand to find out what it’s like working on the safest rig in Trinidad’s fleet. Here’s what McFerran had to say. How did you find out about Rig 123’s safety record? 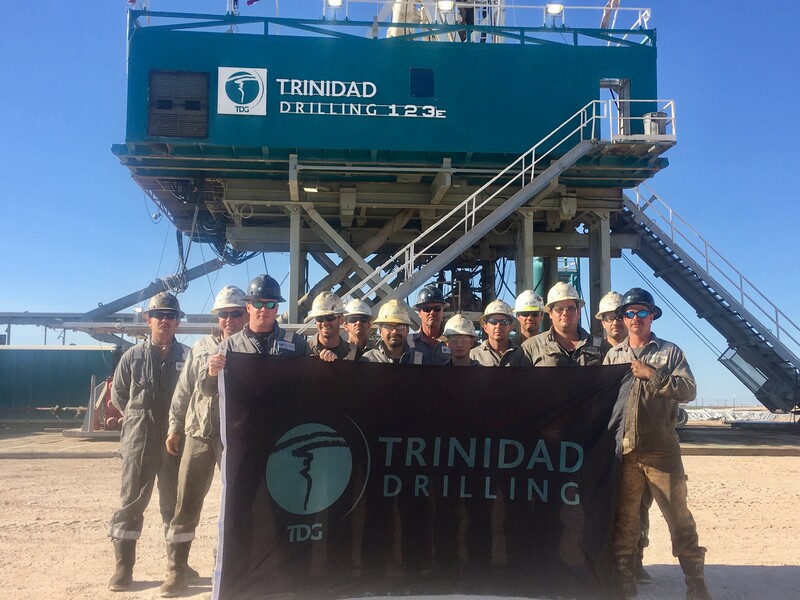 Trinidad’s safety team gave me a rundown on the rig and its (at that time) seven-year safety record before heading out to location. I also googled the rig and came across the blog post written when Rig 123 celebrated seven years. What does it mean for you to work on the safest rig in Trinidad’s fleet? I’ve been in the industry for 16 years and, in my experience, safety isn’t always a top priority with other drilling contractors, so this truly is a privilege. It means a lot to my family too. I texted my wife the link to the seven-year blog and she couldn’t believe it. When I’m at work, it gives her peace of mind knowing I’m with such a safe and tight-knit group. What was your first day on the rig like? I reported to Nathan McDonald, one of the toolpushers, right away to go over Trinidad’s policies and procedures and talk about my job duties. The crew was preparing to move the rig that day, so I met the rest of guys and we had a safety meeting to go over the move plan. Right away I noticed how friendly everyone was. When it came time to move the rig, everyone was super concerned with my safety. They made it obvious that safety was their top priority and I could tell everyone was looking out for each other. I learned a lot about how things work at Trinidad that day. How would you describe the leaders on the rig? The leaders on the rig really care about the crew – that’s obvious. What stands out to me is how often they emphasize family in our safety meetings. They’re constantly reminding us why we’re here and how important it is to go home safely. They’re not working to keep us safe so we don’t hurt the safety record – they’re working to keep us safe so we all go home to those that matter most, in the same shape we showed up in. The Rig Managers describe the atmosphere as welcoming – would you agree? Oh yeah. When I stepped into Nathan McDonald’s house on my first day he was super polite and accommodating. I’ve never been on a crew like this before – there truly is a welcoming family-like feeling going on here. In my experience with other companies, the new guy kind of gets the raw end of the deal, but not here. The whole team is really open-minded. January 2017 officially marked eight years without a recordable incident on Rig 123. Here’s a look at the crews that made the rig’s latest milestone happen. Help us congratulate each and every one of them on yet another outstanding year. They truly are driven to outperform. Looking for more on Rig 123’s safety record? Check out Dustin Ulcak and Nathan McDonald’s tried and true tips on keeping everyone safe year-in and year-out.